Grab your friends and celebrate! The first-ever Pixar Fest at the Disneyland Resort has officially begun. This festival, which runs now through September 3, 2018, is a celebration of friendship and all things Pixar. Pixar Pier will be opening later this summer, but there is still plenty to get excited about right now. Here are 10 things you absolutely must do while experiencing Pixar Fest at Disneyland Resort. The Pixar Play Parade will be making its way down Main Street for the first time. Classic floats, such as the ever-popular swinging Woody and Jessie float, are joined by several new additions. 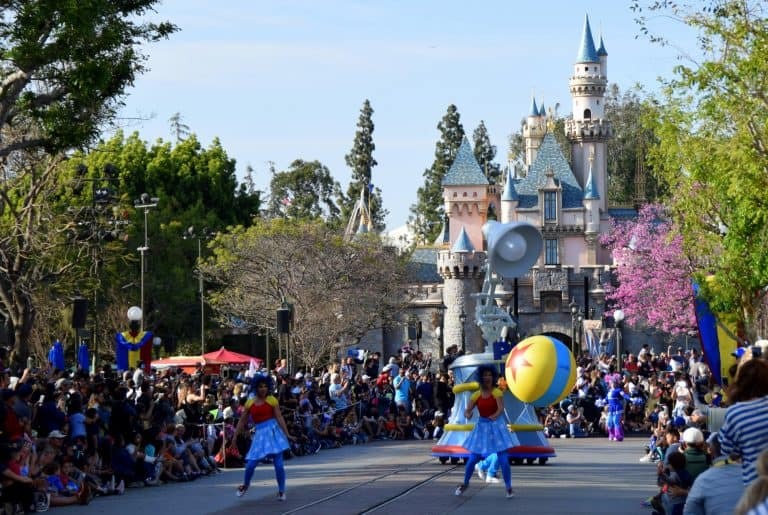 The parade is opened by the classic Pixar Lamp, named Luxo Jr., as well as the iconic Pixar Ball. Joy and Sadness ride the Inside Out float. The Incredibles make an appearance, including Baby Jack-Jack, who is sitting in the claw of the water-squirting Omnidroid. My favorite addition to the parade is Russell riding atop Kevin, the colorful bird from the movie Up. 9. Head to the Animation Academy and learn to draw your favorite Pixar characters. During Pixar Fest, the focus at the Animation Academy will be the many wonderful characters of Pixar. Animators will teach you how to draw various characters such as Sulley, Woody, and Dug in classes that run every 30 minutes. This is a great opportunity to take home a free souvenir; your Pixar drawing will be a fun memory of your time at the Disneyland Resort. Of all special offerings available during Pixar Fest, my favorite were the color-changing noodle salad. 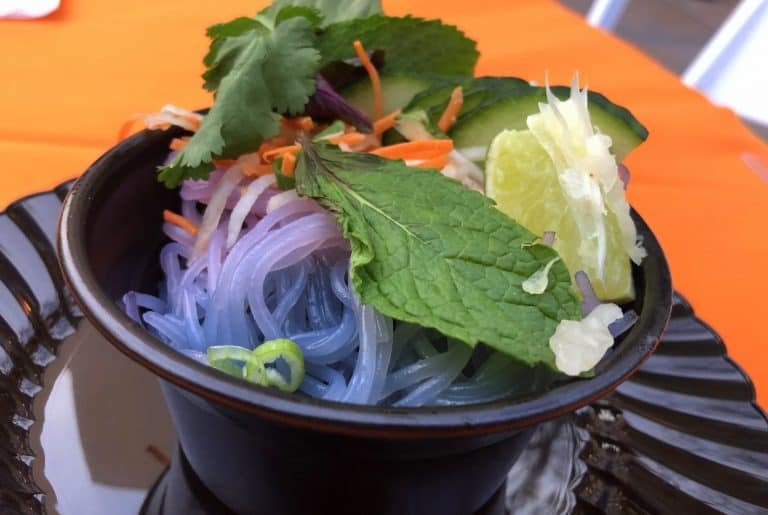 The blue noodles turn pink when the salad dressing is mixed in. The Thai-inspired dish is both fun and tasty! Other food highlights inside Disney California Adventure include the cheesy Toritas de Papa con Queso from Paradise Grill and the Habanero Meatball Cone from the Cozy Cone Motel. The bread cone is filled with spiral pasta and turkey meatballs topped with a spicy red sauce. Who knew pasta could be portable? Not to be outdone by her sister park, Disneyland is also serving up some special eats in honor of Pixar Fest. 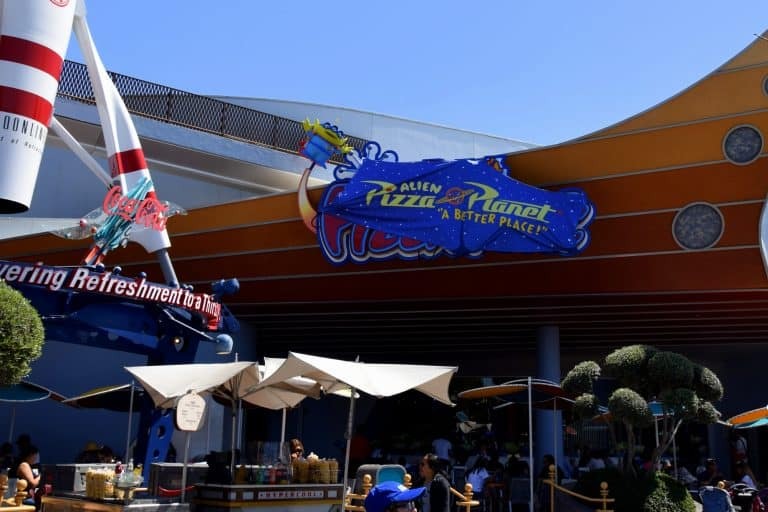 Redd Rocket Pizza Port has been transformed into Alien Pizza Planet where they will be serving up special pizzas such as the cheeseburger pizza- cheese, caramelized onions, pickles, burger sauce, and tomatoes atop a sauce of ketchup, mustard, and pizza sauce all on a sesame seed crust. Special churros are also being served at Disneyland. A multi-colored fruity churro with lemon sugar can be found on Main Street while a Coco-inspired churro can be acquired at the churro cart in Frontierland. 6. Pose for a picture with your favorite Pixar pal. The characters of Pixar are thrilled to be celebrating with you! Many of them can be found at Paradise Gardens in Disney California Adventure and they are eager to join you in a photo. 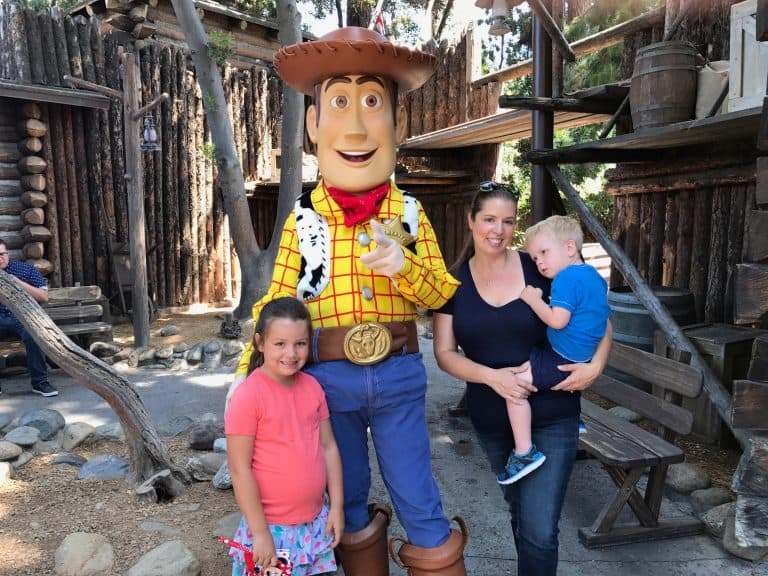 Characters rotate throughout the day but some of the characters you can expect to encounter include Buzz and Woody, Mike and Sulley, and Mr. and Mrs. Incredible. 5. 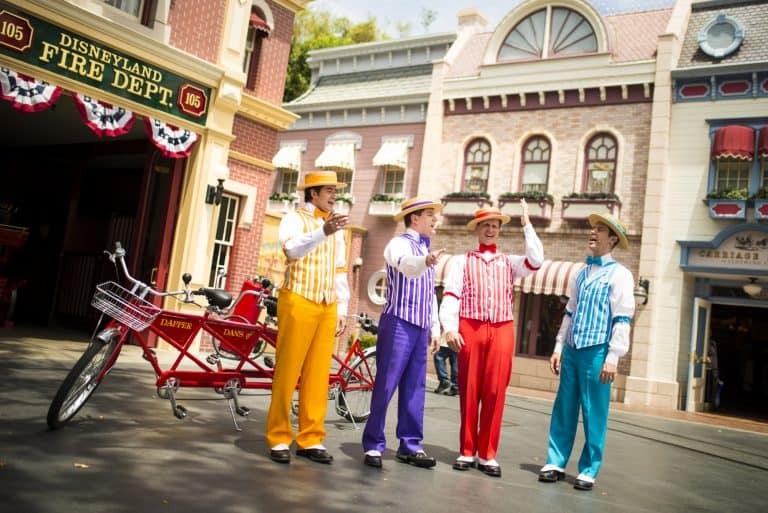 Listen to the Dapper Dan’s sing “You’ve Got a Friend in Me”. The Dapper Dan’s have long held a special place in this Disney fan’s heart. They just make every song so fun! During Pixar Fest, don’t be surprised if you encounter them (along with several other Disney musicians) singing their own rendition of “You’ve Got a Friend in Me,” the beloved song from the Toy Story movies. 4. Snag some Pixar-themed gear. Disney always has a way of coming up with new gear that we can’t resist. Disney fans will love the new Pixar ears which celebrate classic friendships such as Russell and Dug from Up, Mike and Sulley from Monsters, Inc, and Lightening McQueen and Mater from the Cars franchise. These friends are also celebrated in nifty socks and friendship bracelets. 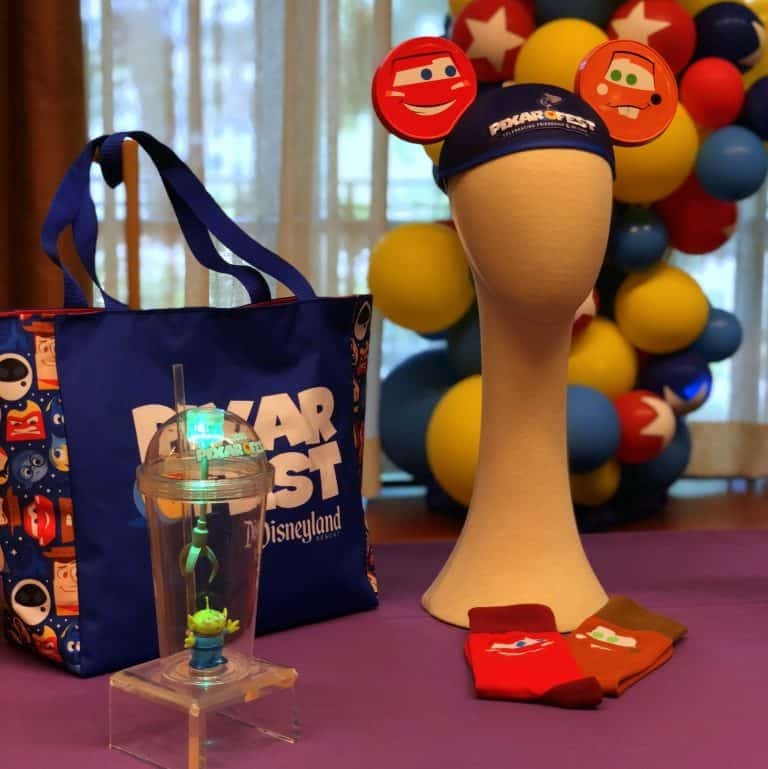 My favorite new Pixar swag is a light-up cup featuring “The Claw” from Toy Story. 3. 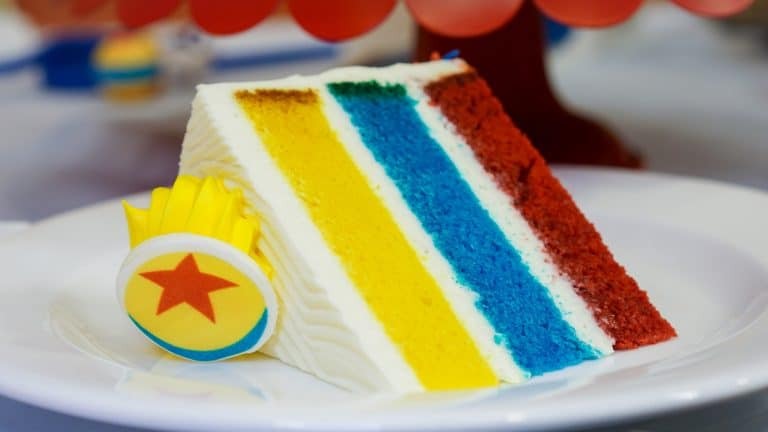 Celebrate with a piece of Pixar Fest Cake. They are almost to pretty to eat. Almost. These cakes feature layers of lemon, blue vanilla, and red velvet sponge cake with raspberry puree and cream cheese frosting. The Pixar Ball on top is made of chocolate. You can find this special cake in both parks. Equally irresistible are the Alien Maracarons. These sweet treats are shaped like the aliens from Toy Story and feature a nice zing of lemon curd in the middle. They are sold at Alien Pizza Planet in Disneyland. 2. Experience over 1 million dancing lights in the Paint the Night Parade. This is the first time the Paint the Night Parade has made its way into Disney California Adventure, so you know Disney had to add something new and exciting to celebrate. Incredibles 2 is coming to theaters on June 15th and the new Incredicoaster is coming to DCA later that same month. To celebrate all the “incredible” fun, Disney will also be debuting a new The Incredibles float on June 4th. The float will have plenty of lights as well as visual technology to show off the powers of Violet, Dash, and Jack-Jack. 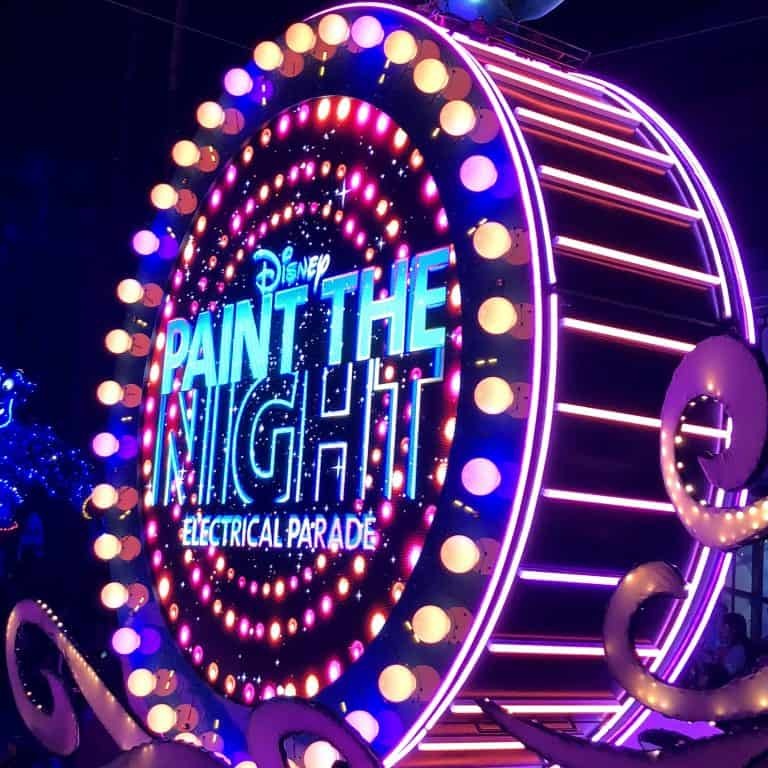 If you want to snag reserved seating for the parade, take advantage of the Paint the Night dining packages available at Carthay Circle Restaurant and Wine Country Trattoria. 1. Watch the Up balloon soar over Sleeping Beauty’s Castle during the fireworks show. Disney couldn’t celebrate the first-ever Pixar Fest without debuting a new fireworks spectacular. Together Forever- A Pixar Nighttime Spectacular projects imagery on Sleeping Beauty’s Castle, Main Street, the facade of It’s a Small World, and on water screens at the Rivers of America. Buzz Lightyear flies over the castle a la Tinker Bell while proclaiming, “To friendship… and beyond!” During the Coco scene, townspeople from the Land of the Dead appear on the roofs on the businesses on Main Street. 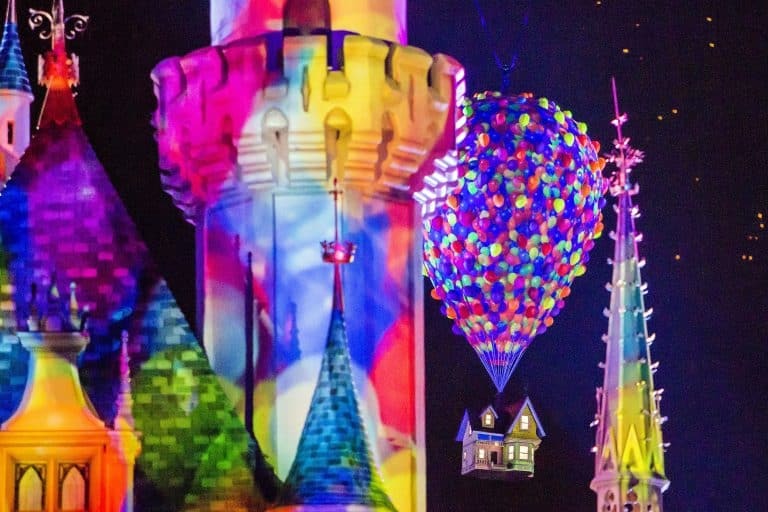 My favorite moment is when the balloon made of balloons from Up soars through the night sky in front of the castle while fireworks are exploding up above. Disclosure: The author received complimentary into the Disneyland Resort in order to cover Pixar Fest. All opinions are her own. Want more Disney? We've got you covered!